Allow New Zealanders to pay tax using cryptocurrencies, get the Reserve Bank to trial issuing a cryptocurrency, prevent banks from closing the accounts of those who deal with compliant crypto-related businesses; these are some of the actions researchers want the Government to take to ensure New Zealand makes the most of blockchain technology. Associate Professor Alex Sims and the late Professor David Mayes of the University of Auckland’s Business School, as well as Dr Kanchana Kariyawasam of Australia’s Griffith University Business School, have published a comprehensive 179-page report on how cryptocurrencies should be regulated in New Zealand. They say the Department of Internal Affairs (DIA) and Financial Markets Authority (FMA) should give New Zealand-based cryptocurrency exchanges clear and detailed guidance as to their anti-money laundering/counter financing of terrorism (AML/CFT) obligations. From there, the Reserve Bank should signal to banks that if they keep ditching their customers involved in crypto exchanges and blockchain-related businesses without good cause, it’ll consider regulation. Recognising regulation alone might not spur enough change, they also suggest the Banking Code of Practice be amended to prevent banks from de-risking without good reason. The researchers suggest an alternative could be for the Government banker, Westpac, or Kiwibank to be required to provide bank accounts to crypto-related clients. Furthermore, the trio says merchants should be able to accept crypto payments, or payments made through a New Zealand or overseas exchange that complies with AML/CFT requirements, without the merchants losing their bank accounts. They point out that exchanges would take care of AML/CFT requirements. As for tax, Sims, Mayes and Kariyawasam recommend GST be removed from cryptocurrencies that aren’t used for the payment of goods of services. “Businesses wishing to accept payments in cryptocurrencies for goods and services are potentially subject to GST. So too are New Zealand exchanges that provide exchange services to New Zealand customers,” they say. The researchers say the Inland Revenue Department (IRD) also needs to clear the air on tax rules around the use of cryptos. They go on to suggest the IRD accepts cryptos as payment for taxes on income gained on the trading of crypto. This would see more tax collected and encourage local exchanges to stay in New Zealand to service the IRD. Finally, they want the Reserve Bank to issue a retail cryptocurrency backed one-to-one by the New Zealand dollar. They point out requiring holders of the currency to have accounts with either a retail bank or the Reserve Bank would reduce its utility for cross border payments. Ultimately the researchers say New Zealand should follow the likes of the UK and Australia and create a regulatory sandbox to ensure regulators work alongside fintechs. “New Zealand’s current largely hands-off treatment of businesses attempting to deal in cryptocurrencies is not only harming those businesses or potential businesses; it is also detracting from the country’s ability to fully embrace the opportunities that fintech provides,” they say. The report has been funded by the New Zealand Law Foundation. Bitcoin's like rat poison according to a man who has made a few quid investing over the years. He also didn't invest in Apple, Microsoft or any other technology company, so yeah .. quote Grandpa all you like, you're probably on par with his understanding. You FAILED to mention they acquired that 5% approximately 1 year ago and possibly only because Apple was committed to buying back its own stock [to artificial inflate its market cap] - in decades gone by such practices would be consider fraud. Also [side note] the late Steve Jobs was 100% against stock-buy-backs. Very dishonest and/or uninformed Nic Johnson - you deserve this calling out. Take it. I'm not quite sure what you're on about Zack. I posted a link highlighting a opinion of an fairly well known investor about Bitcoin and cryptos. You then got your next comment wrong. Which I simply corrected. Stock buy backs by businesses have taken place for decades and it is a very good reason to acquire a share if you are an investor because it magnifies your interest in future 'value' and retained income when dividends may be paid. Not entirely sure what you are calling out here when you've been wrong on both counts, all I've done is provide a link and question your mis-statement. I share a view with Mr Buffett that Bitcoin is for essentially for retards. I may be right or I may be wrong. How many have you bought? Munger and Gates seem to have a similar opinion too. Gates has flip-flopped on Bitcoin like a dogfish on a wharf. Thanks for the chuckle Nic. Blockchain is not cryptpocurrency. It's a decentralized technology. Bitcoim is an application of the technology. Netscape was an application of intenret technology. But Google exists. Did you bother to read the article Nic? One 'bug' and your cryptocurrency is worthless, very worth thinking about. What problem does the block-chain actually solve, that cant better be solved with other approaches? I used to think that but the one exciting blockchain idea is to float SME businesses rather than through the sharemarket but using blockchain to get people to own equity stakes, is interesting and would acutally be worth something. This is going to happen next year in the States. So it's disrupting the Sharemarket. I thought that was very clever. Now this, I like the sound of. Brokerage fees really annoy me. They should be at a level of bank transaction fees to that people have nothing to hold them back from trading small parcels regularly. Not if you take care of what's inside your wallet and protect it accordingly. Any security tech can tell you there is no guaranteed way to protect your wallet, if you have one you are just as susceptible as someone with money in an exchange or trading with their mobile. Nonsense. Digital currency in cold storage is not as susceptible to theft as digital currency kept on an exchange. I strongly recommend reading the report. There is a very clear confirmation bias in the report, minimizing the issues of bockchain technology, and assuming that the shortcomings will be overcome. The report does note that current blockchain technology is unsuited for financial transactions. The below quote comes from the bottom of the executive summary and recommendations. Funny how that conclusion doesn't show up in the article extolling how blockchain should be introduced. because the underlying technologies are not yet scalable. Many are too opaque for regulators; and some have been hacked. If that is the conclsuion, the authors seem to have missed the point. The joint partnership between SBI Holdings and the creators of XRP, Ripple, also known as SBI Ripple Asia is now ready to launch their new blockchain based electronic settlement platform, MoneyTap. FYI, SBI Group is one of the largest finanical services companies in Japan. Sounds like they have received regulatory approval. The article states that the are not ready to launch. MoneyTap is not yet ready to be launched, the approval of MoneyTap by Japanese authorities and the issuing of a license does bring MoneyTap one very big step closer to a full roll out. To date, crypto has only been an interesting mix between ponzi, fraud/scam, and vaporware. The promise of crypto is still completely unrealized. 260,000+ retailers using Bitcoin in Japan and cryptocurrency is a legal currency in Japan. Is that a scam too? I found few english websites that discussed the actual usage of bitcoin, but many touting the many retailers supposedly accepting bitcoin in Japan. Reading the comments on several of these from people in Japan, many of the supposed retailers have quit accepting bitcoin, or are charging rather large fees. It is still a gimmick, as one article said, we have two or three people a week paying with bitcoin, it is just a fun and quirky thing for the few people using it as actual currency. Why charge "large fees" on bitcoin payments? Doesn't make sense. Secondly, if you visit a Japanese crypto exchange like bitbank, you can get a sense of the depth of volume in trading. Furthermore, the articles are nonsensical. If the price of a haircut is USD20 and I pay in bitcoin, that is 0.0030. The bitcoin price is not "fixed". It depends on what the fiat currency price is. 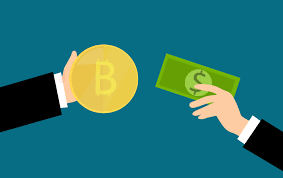 Looking at your link, there is the potential for a retailer to get a payment, where the payment is worth about 7% less with less after less than a 24 hour delay before converting the received BTC to cash (in the past month, neglecting some of the much higher volatility periods of prior months), without including any of the annoying costs of conversion. Yes, it definitely depends on the fiat currency price of bitcoin! Hence, the "large fees" so as to ensure that the retailer doesn't get burned by the BTC volatility.. Nonsense. I have made payments in Bitcoin in Japan and the transaction is locked in at the JPY price. There are no "large fees." Complete myth making. The problem with crypto currencies isn’t the tech, it’s the inherent lack of an inflationary function. Well, you hold onto your dollars which become worth less with every round of QE - the rest of us will be holding Bitcoin which was a fixed supply and money creation rate. Some of us are familiar with the lessons taught by the Weimar Republic, some of us are doomed to learn such lessons in the modern age. Sure and that is the exact problem. The reason you don't see adoption of crypto currencies in the long run is due to the hoarding effect. It is well documented that people hoard items that are used to facilitate economic transactions - i.e money. Anyone who hoards a currency is ultimately doomed to reap its intrinsic value, zero. Money is valued by its economic utility, not its hoarding value. Good luck with your bet. So you think crypto has no utility? I can transfer X BTC to someone in China right now in a matter of minutes in echange for something. Does that not represent utility? Furthermore, crypto is the de facto currency on the dark web. Moral issues aside, that shows that crptocurrency does indeed have utlity. The biggest difference is that with digital assets, a P2P transaction is taking place and a credit card requires an intermediary. Secondly, I can guranteee you that XRP is faster and cheaper than any credit card transaction. I think this report is timely and something we should be seriously getting on with. Having the Reserve bank issue an e-dollar would be an important fallback when faith in the fiat currency's is destroyed by debt and over supply. I will read the report when I get time. Re Japan: These guys know how to make money. Or should that be, new how to make money? Anyhow, most of their debts are to themselves which tends to make things simpler. The rest of us owe a small fortune to the Yanks or in Yank bills and this combined with our currencies falling, may not end well. E-money is worth a look and I'd be quite interested in looking at a blockchain solution for small businesses. Not everything has to be big. The supply of cryptocurrency is capped. Fiat supply is not. One is relatively scarce. The other is not. One requires an intermediary. The other does not. Firstly, don't say "crypto currency" when you mean bitcoin. Secondly, it's not capped in any true sense. Bitcoin Cash was a fork, and doubled the number of coins in existence. The protocol can be forked and modified in future, and new currencies can be created out of thin air at any time. I think BTC is a "cryptocurrency", as is BCC, XRP, LTC, ETH, and MONA. .
Wrong. Bitcon is capped at 21 mio coins. It has "scarcity", which fiat currenciy does not. That is my point. Just because new currencies can be created is beside the point. Capped? how does creating another cryptocurrency in less than 15min with any level of supply suggest capped. A student's copy and paste job holds the same if not greater value than those created by corporates. Even Dogecoin was a cheap joke that many have literally sunk money into. At the moment cryptocurrencies offer one main use: endless amounts of online betting easily available for pump and dump schemes that are intensely resource heavy, extremely bad for the environment, non scalable, highly volatile, unable to offer security promises and equally likely to be hacked with little options for recovery. Oh and most retailers use a third party to immediately transfer any cryptocurrency in payments back to fiat so saying they are being held by retailers is completely false, most retailers hold fiat and make their transactions with suppliers in fiat so it really does not make a difference at a retail level. nz has e-money, it is called money, or more formally the NZ dollar and you can trade it online along with other currencies. Crypto has no value whatsoever. If any it’s very small, cents on the dollar, payments systems aren’t worth much at all. You can’t send someone money in China if everyone is hoarding their coins. But It looks from the thread that Bitcoin has been a very popular gambling product in Asia and Australasia. You go to Europe and there is a lot less discussion about it and far less interest in it. But it's no surprise that it has been popular in Countries where there is a gambling mind-set, China, Japan, New Zealand, Australia, SE Asian nations. Time will tell but I'll stick a 'Greater Fool' utility on this one as an investment. I can't buy a boat or a car with it because today because any retailer would run the risk of it being a half price boat sale the following day, it has no utility value and is just too volatile. Very few people own crptocurrency in NZ or Australlia. Just look at how few exchanges there are and the volume of trade. The legisliation in Japan is very supportive of digital currencies and the volume traded on cryptocurrency is high. 2. The transaction throughput is ridiculously low. The platform is not architected to be scalable. The best they've managed is around 7 transactions per second. Your 3 gets to the nub of the problem. This is like the fox guarding the henhouse. Why would the 'government' support this when it seeks to eliminate the middleman (the government) from the economy. Jason Wong "Nothing much makes sense"